Zoya Akhtar’s Dil Dhadakne Do is all set to hit the theaters tomorrow, but the movie has already created huge buzz and thanks to all the praises from Bollywood celebs. A special screening of the movie was organized by the Zoya Akhtar for Bollywood celebrities. Top Bollywood celebs, including Amitabh Bachchan, Arjun Kapoor, Deepika Padukone, Riteish Deshmukh, Abhishek Bachchan, Madhur Bhandarkar and others watched the movie and have loads of praises and wishes. T 1883 – Silences in a film allow the audience to enter the mind of the actor .. rare … DDD does that in abundance ! Well done Zoya !! So many actors, so many characters, all under the roof of one film… and yet #DilDhadakneDo is an effortless delight! Brilliant direction.. I feel on top of the world after watchin #DilDhadakneDo @ritesh_sid pls convince Zoya to make more films more often !!! 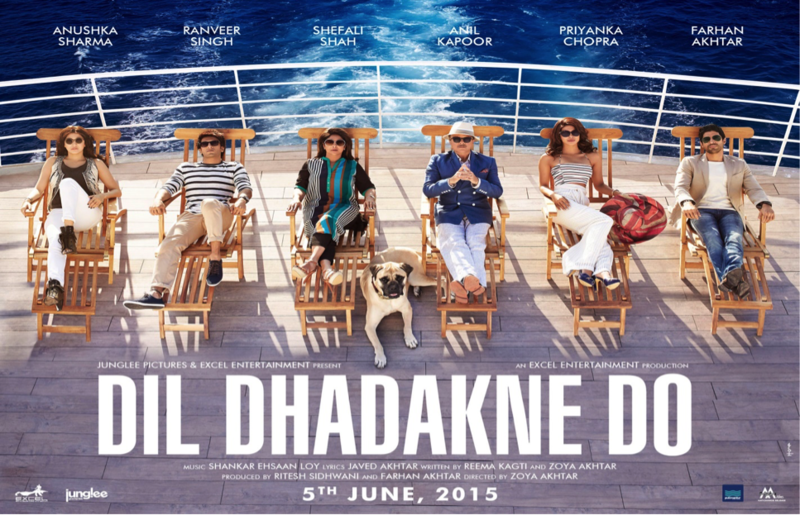 Dil Dhadakne Do is such charming film. Great fun. Well done Zoya. So happy for you. Big love.